Have you been debating about making a family budget, but don’t know where to start? Usually it’s good idea to start with the basics, like the basic outline for a budget and the groups you want to include. Here are a few good guidelines to assistance you with creating a simple budget for you and your family. The first place you should begin when creating the outline of your budget is by starting with your income. You’ll need to do some estimating here, but make sure your estimations are fairly accurate, and that you’re being realistic with your numbers. The income part of your budget isn’t the place to write down the income you want to have, or the income you “think” you might have in the future. Be as realistic and conservative as possible. Just take a glance at your net income from the last six to twelve months, this will give you a good estimate on average of what your monthly income is. In some cases, your income may change very little month-to-month, or maybe you’re a salaried worker. In this case scenario, it should be pretty simple and straight forward to calculate an estimate for what your monthly income will be in the future. 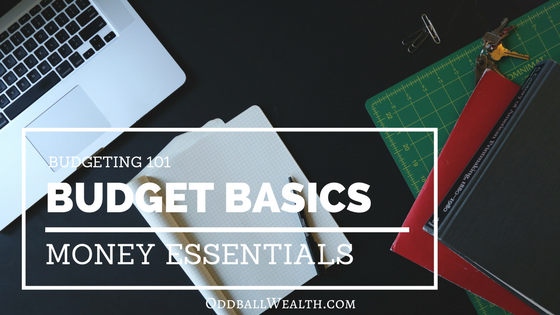 The next section in your budget should be monthly expenses. You’ll want to include plenty of detail so that you have a good and realistic understanding of what your expenses will be each month, you don’t want to have any surprises come up that could have been avoided. Try to avoid micro-categorizing your expenses. This might sound like a good idea at first, but by placing all of your expenses into tons of tiny categories will ultimately only make you frustrated and unmotivated, which can result in you abandoning your budget all together. Instead, attempt to make your expense categories as general as possible. One general category you might have for your expenses could be “entertainment,” for example. A category like “entertainment” is a much more universal of a category than say, “Xbox games, DVDs, Magazines, and Books” listed as separate categories. There will probably be more estimation here than in the income category. As you breakdown your expenses into clear and comprehensible categories and numbers, it’s important to note that giving to charities or anytime you give money away, it also should be consider and listed as an expenditure in your expense column. The estimations you’ve made start to become real once you begin writing down your actual expenses during a given month. For this simple budget, this will be the final segment in your family budget plan. Continue to keep an accurate count of your expenses for the next six months or so. You’ll then be able to look back, compare, and see any trends in your spending and expenses. This will give you a good outlook of where you are currently. It’ll also allow you to make any necessary adjustments to your budget. Here are some basic budgeting standards and principles that are essential to crafting your family budget. Differentiate between your wants and needs. This one is difficult for most people, but it’s also very crucial if you want to have an effect budget. It’s extremely easy to convince ourselves of wants as needs, when they’re not needs at all. Exercise self-control and avoid trying to make up excuses for “wants” to be “needs”, and reasons to make unnecessary purchases. Real legitimate needs are things such as clothing, food, and a roof over our heads. However, pricy name brand designer outfits, gourmet meals, and an extravagant house would be considered unnecessary wants and desires! Expenses should be LESS than income. You’ll probably be shocked at how much money you’re spending on certain things the first time you do a budget. You may even find out that your expenses are higher than your income, which are putting you into unnecessary debt. If this is something you find out while making your budget, then it’s extremely critical that you take the time to cautiously examine the income segment of your budget and determine if you could possibly increase it. More importantly, look at and examine all of your expenses to determine where any cuts can be made to decrease spending, and possibly even eliminating some expenses all together.